I bought this cookbook for my mother to give to her on Mother's day. Our family is Hungarian (my great-grandmother immigrated to America from Budapest, and we still know family that lives there), and we have passed down recipes through the generations. 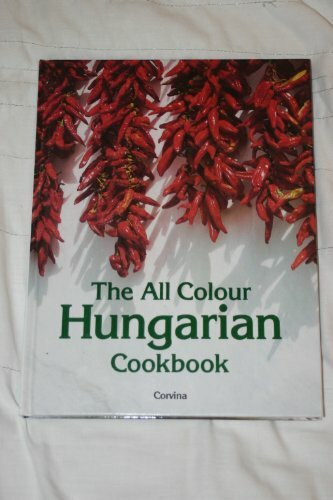 I thought it would be interesting to buy a Hungarian cookbook, so that we could learn more Hungarian recipes. The food in here is delicious, I won't deny that. But is it authentic Hungarian food? That I'm not so sure of. About half of the recipes in the book are comparable to recipes that have been passed down in my family. What worries me is that there is a vast difference in both seasoning and ingredients. The main meat ingredients are the same, and the recipe titles are pretty much the same, but beyond that they're often so different from one-another that without the title I wouldn't have even known that they were supposed to be the same recipe. We haven't compared taste-wise yet, as we have been trying the recipes that we don't already know so far, so I can't say if they taste similar or not. But with such a big difference in ingredients, I'm doubtful of that. There could be a lot of explanations for the differences. It could be that the recipes are from different regions of Hungary, and the differences are based on regional tastes. It could be that my family made slight variations over the years, based on what was available and what each person preferred. It could even be that the recipes in this cookbook were varied slightly based on the authors tastes. I don't know. But what I do know is this: when it's a choice between what a cookbook says and what three generations of my Hungarian family say, I'll go with the latter. That said, the food still does taste good. They're decent recipes in their own right. My only question is about truth to menu. I purchased one of these books a couple of months ago, because my mother's side of the family is Hungarian. When I mentioned it to my mother, she expressed a desire to have a copy, so I ordered another one for her. It arrived before schedule, in A-1 perfect condition! Each and every purchase I have made through Amazon.com has met or exceeded my expectations! I am a very satisfied customer! You can believe that I will purchase again! It has all of the famliy favorites made the same way of my grandmother! 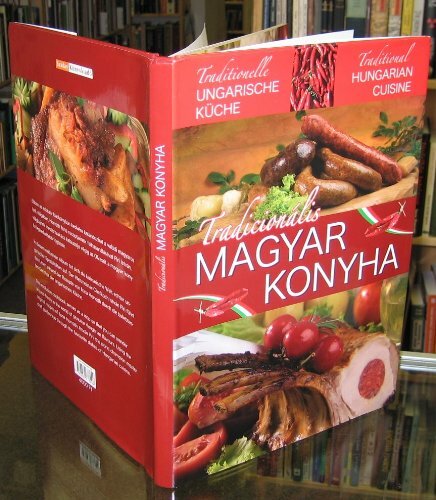 This is The best Hungarian Cookbook!! As the owner of dozens of cookbooks, I have to say Yolanda Fintor's 'Hungarian Cookbook: Old World Recipes for New World Cooks' is my hands down favorite. The snippets of family stories interspersed with bits of history make this an engaging read on its own. Add in the most delicious recipes you will ever find, written with easy to understand directions, and you get your money's worth and more. With food prices rising and household budgets tightening, this cookbook offers an amazing assortment of flavorful dishes using inexpensive basic ingredients. My favorite recipe is the Chicken Paprika with dumplings. I make a double batch because you can never have too many dumplings. The Stuffed Cabbage is another yummy favorite. Try any of the soup recipes and I guarantee you'll never go back to canned soup again. I recommend the Sour Cream Potato Soup for cold winter days. For Christmas I make batches of kiflis (named Grandma Kish's Crescents in the cookbook) with a variety of fillings - walnuts, apricot and raspberry, and give them as gifts. There's something for everyone in this cookbook from the most finicky eater to the die-hard lover of all things edible. Highly recommended. You won't be disappointed. I have really enjoyed this cookbook.We've had this now over a year and love picking out recipes to try.I don't consider myself a good cook because rarely can I follow a recipe exactly, however, most of the recipes in here don't have to be followed to the letter to be good.The cucumber salad has become a fixture at our meals and I really like the dumpling recipes.The dishes in this book aren't too heavy (especially if you adjust for low fat) and they bring a lot of comfort on a cold winter day.The soup recipes are excellent and a great way to expand veggie horizons. My only complaint is I tend to get a little lost reading the instructions for recipes.I think that may just be my impatience, but something numbered or bulleted would be nice.Don't let this stop you from buying this book - it is really great.You'll learn a bit about Hungarian culture and get to have some wonderful food. I purchased this as a gift for my brother. All of us siblings enjoyed grandma's and mom's real Hungarian cooking and like to dabble ourselves. My brother is a very decent cook but was lacking a nice Hungarian cookbook. As I scanned this one, I noticed many of our family favorites. This is a simple and attractive little book that I'm sure he and his family will enjoy. I have several Hungarian cookbooks that look and read like History books. While interesting and well written, they are not as easily navigated. This is better for the busy cook who just wants good Hungarian food. Excellent cookbook,interesting addtional information. Recepies close to mum's. A bit of a shame that it contained no creative photographs but that was known at the time of purchase. The real value is in the authentic recepies. I bought my first copy of this book over thirty years ago, and even then had to special order it.In the last couple of years I have bought four more copies for family and friends as many of the recipes are identical to those of my mother-in-law whose family was from Croatia.Any one whose family originated in the Slavic area of Europe, including Austria, may find some family favorites in this wonderful, entertaining and reliable book. I'm really pleased with this cookbook. Many of the recipes remind me of the dishes my grandmother used to make. I'll admit to adding a bit more paprika to the goulash than the recipe called for, but overall I was very happy with the results, as were my guests. I like that the author recommends side dishes and desserts to accompany and follow the main courses. The section on wine is most welcome as I find more Hungarian wines in my local wine shop. 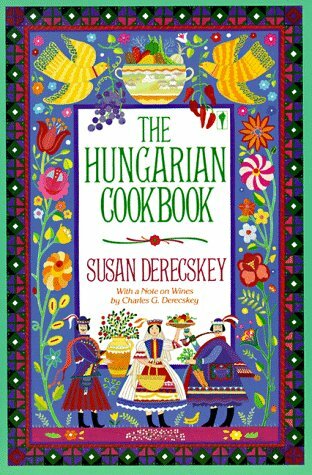 If you are of Hungarian descent or simply interested in Hungary, this cookbook makes a good addition to your culinary library. The book arrived in time. It is in perfect condition. The recipes are similar to the ones my mother made when I was growing up, so I am looking forward to trying them! It was a pleasure to do business with this seller. Would purchase from this seller again! 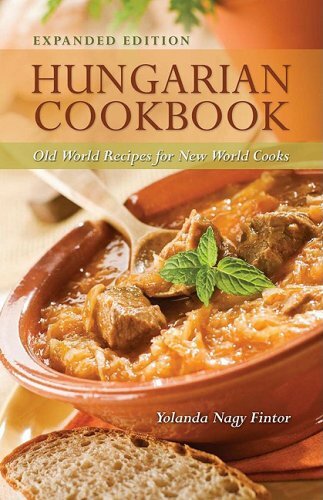 I am an experienced Hungarian cook and looked forward to learning new dishes from this book. While it would be ideal for a young adult or inexperienced cook, I did not learn anything new from this book. I plan on giving it to my public library. "A Taste of the Past" is just that for me. I was over 30 when I learned that my mom's dad was Jewish, not merely Hungarian. After my mom's death, I began to study about Jewish family life. My mom and her dad had visited their family in Hungary in 1907, 1915 and 1922, but my mom spoke little of that. I visited his birthplace (near Kosice, Slovakia - formerly Hungary) in 1996. I joined on-line Jewish genealogical websites. I found two aging Jewish relatives in Cleveland. 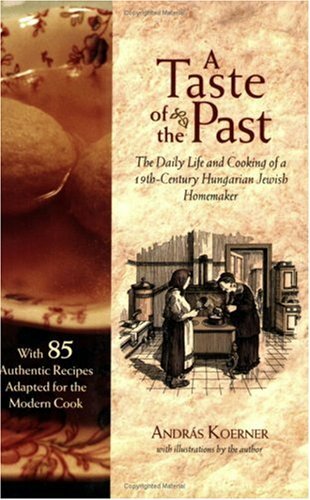 "A Taste of the Past" has opened for me rich insight into Jewish family life in Hungary in the late 19th century and 20th century. I am no cook, so the food recipes are beyond me - except that my imagination allows me to savor them! 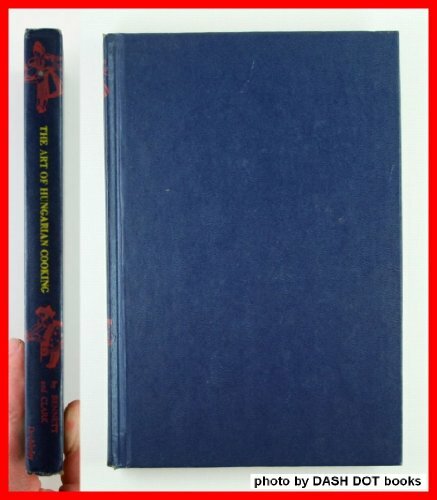 The author is a man of great generosity of spirit, that imbues every page of "A Taste of the Past"! Am I ever in his debt! This lovely book brings a slice of Hungarian Jewish culture to life in a uniquely three-dimensional way - the sights, the tastes, the details of everyday life. I found the recipes easy to follow and the pictures charming. The author's great-grandmother whom he profiles here is a refreshingly complex character -her views about such things as religion and national identity change over time, along with historical changes, and some of these shifts are even reflected in her food! For example, this is one Hungarian cookbook that is light on the paprika - apparently ginger was the spice of choice in the 19th century. Who knew? I bought this book for my mother, who remembers the Paprikas Weiss in New York City. Her grandmother was from Hungary and she missed many of the recipes she grew up with.It seemed very well laid-out and organized, and the recipes are easy to follow.Win-win. I just returned from Hungary and fell in love with their food. This book was purchased to keep those memories alive and thus far it has truly succeeded. 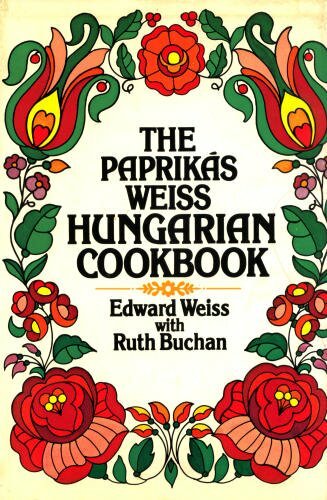 The Paprikás Weiss Cookbook is a decent ethnic cookbook from the end of the 70s. 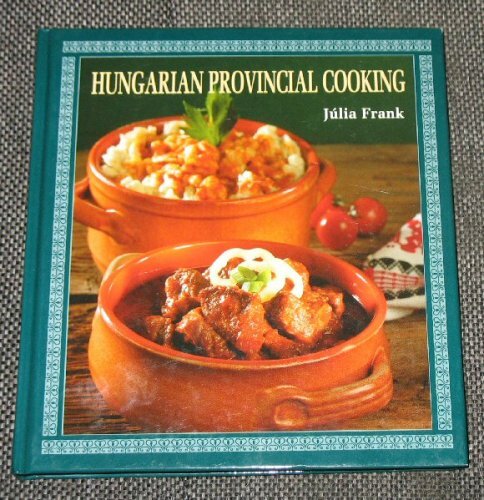 Its recipes all are authentic Hungarian "home" fare, with few surprising dishes. (I'm a Hungarian). This also means that it might be an excellent first cookbook for someone who wants to get acquainted with Hungarian cuisine. Classics such as goulash soup, cold sour cherry soup, chicken paprikas, Eszterhazy steak, pancakes or strudels are very well described. Every recipe lists the utensils separately as well, this can be a great help for a less experienced cook. Were it possible, I'd give four and a half stars to this book, it gets four from me due to the lack of interesting regional recipes and the low number of "special occasion" recipes. 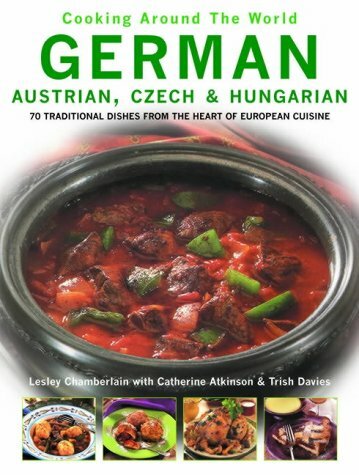 Nevertheless, I recommend this cookbook, however, I personally like Susan Derecskey's The Hungarian Cookbook and C. M. Czegeny's Helen's Hungarian Heritage Recipes better. You don't get any more authentic than this book.Most other cookbooks are phoney.This is the real thing.I am Hungarian and this is how my Mother cooked and now so am I.You want the real thing...this is it.The ingrediants are easily obtained.The directions are easy to follow and the dish turns out exactly how it is meant to be. 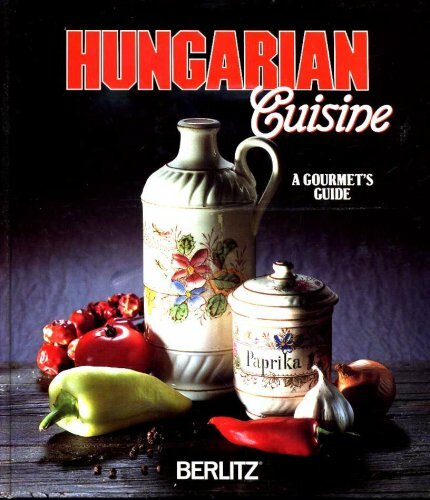 This book is a collection of standard Hungarian recipes that would be familiar to any Hungarian cook.It includes chapters on soups, main dishes, side dishes, and desserts. Each chapter begins with a brief description of the type of dish and its role in the food culture of Hungary, discussing, for instance,what were foods were readily available on the farm. 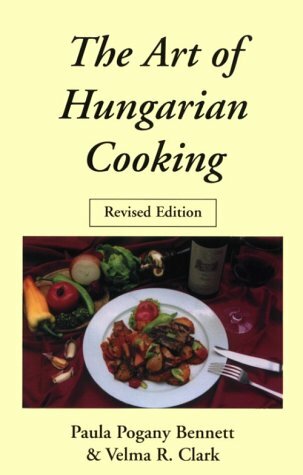 The recipes are provided with both their English and Hungarian names.One helpful feature is that each recipe includes not only a list of ingredients, but also a list of utensils needed for the recipe.In keeping with Hungarian farm traditions, most of the recipes call for butter, sour cream, eggs, and one or more types of meat, especially pork.Virtually all the recipes call for fresh foods, not canned foods or convenience mixes, but there are few exotic ingredients needed. What kind of an anti-semite is aqua121? There are many Hungarian Jews and their cooking may be a little different in that they don't mix dairy and meat, but you should only be as good a cook as my Jewish Hungarian mother, who could have been a rich woman had she opened a restaurant or bakery. Shame on you! Looks like bigotry will never die. You don't deserve to live in this wonderful democracy, USA. Go back to communism where it looks like your roots come from! 1)The copy that came to me has a picture of cans of Paprika and pepper.It is not the cover that I expected.2) Almost EVERY recipe was for Jewish cooking, and NOT Hungarian.I am Hungarian and I know my Grandma's cooking.This is not Grandma's cooking. These recipes are enjoyed by a family with Hungarian roots who happen to be Jewish and enjoy kosher cooking. 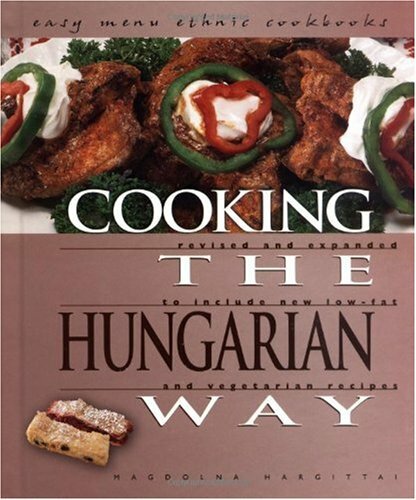 The book promises to give you some Hungarian, American, and kosher recipes and that it does. Signed ... That Hungarian - Linda F. Radke, [...]. I grew up with Hungarian kosher cooking.My family comes from Kisvarda and Szeredne and Tokaj, and it's an insult to us, and to the martyrs from those places, to say that their cooking was a joke. 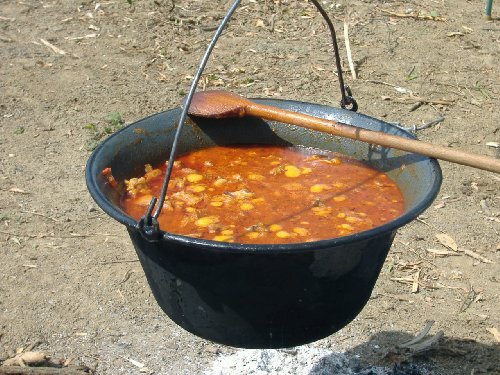 There's nothing like the smell of a hot goulash cooking on a cold winter day to warm a person, and to lift his/her spirits. I enjoy and continue to enjoy Linda Radke's recipes.I just wish she had included more, such as fluden and g'ribener peas. First of all, Hungarian food and kosher just won't match!!! What a joke! Then, I have no idea where these recipes came from... not from a Hungarian's kitchen, for sure.